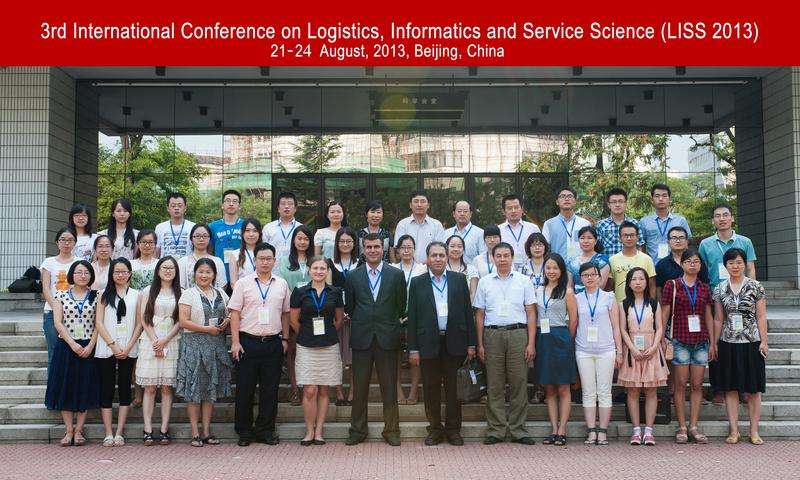 Approved by China's Ministry of Education, 2013 International Conference on Logistics, informatics and Service Science (LISS’ 2013) hosted by SEM and international research center of information theory & techniques of our school was held from August 20 to 23. Conference of this year was undertaken by Reading University of Britain and co-sponsored by research center for China's industry security of our school. Two sites were set up for this conference at Henley Business School of Reading University in Britain and SEM of our school. More than 160 scholars from 11 countries and regions all around the world participated the conference. A total of 379 papers were received for this conference and 157 papers had been admitted. Guan Zhongliang, assistant dean of our school and one of chief chairmans of the conference, led some professors to Reading University to preside over the meeting on behalf of the organizer. On the opening ceremony, Guan Zhongliang and Ginny Gibson -- dean of business school of Reading University addressed respectively. 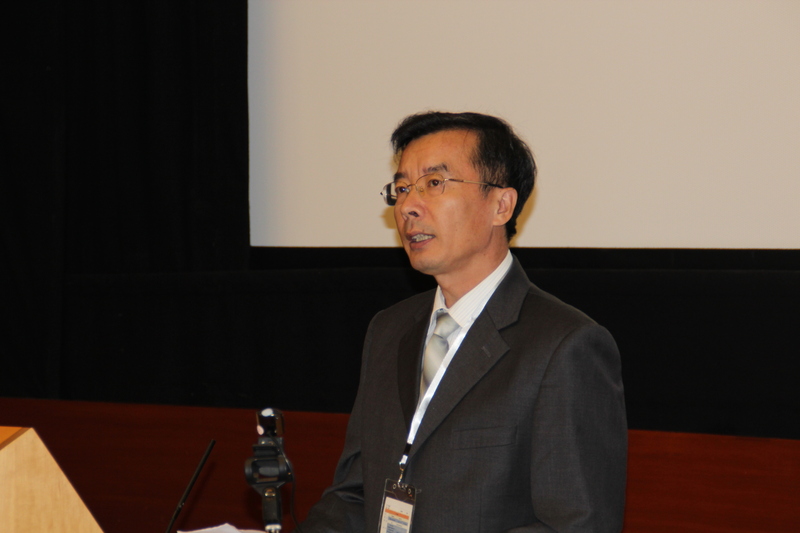 Professor Zhang Runtong -- one of chief chairmans of the conference, reported organization conditions of the conference. Professor Florin G. Filip -- assistant dean and academician of Romania academy of sciences and Professor Peter Race from Henley Business School of Reading University issued keynote reports as special guests. After the opening ceremony, paper presentation in groups were progressed together with 6 groups of Special Sessions which presented and exchanged papers on related areas. 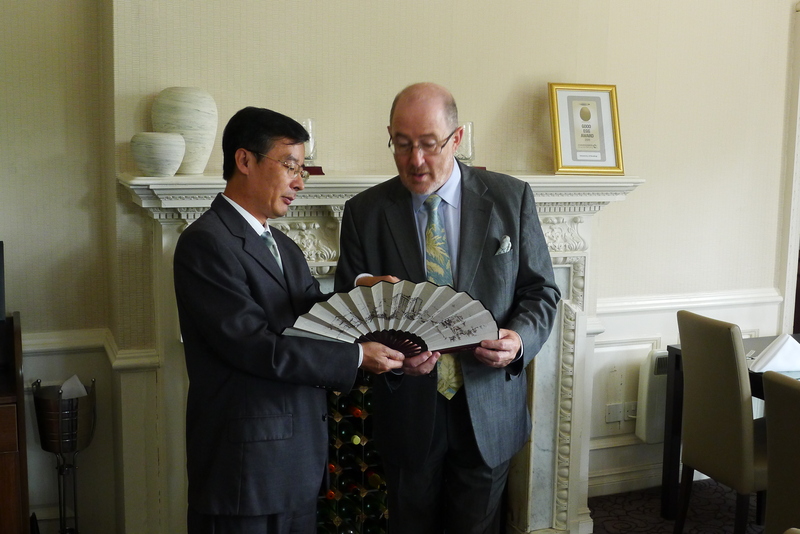 On August 22, Guan Zhongliang paid a visit to the University of Reading and confabulated with Professor Tony Downes -- executive assistant dean of Reading University, Professor Ginny Gibson -- dean of Henley Business School and Professor Kecheng Liu -- director of information research center, when personnel training, scientific research and other matters concerned under cooperation agreement between the two sides were discussed deeply. The two sides fully affirmed the achievements having been obtained and hoped to further expand cooperation between the two universities in a way to jointly improve academic standards. Professors of our school such as Zhang Zhenji, Shi Xianliang, Liu Shifeng and Zhang Juliang also attended the conference. LISS international conference was initiated and hosted by SEM and international research center of information theory & techniques of our school, aiming at gathering experts and professionals in related fields of logistics, information and service science to discuss academic problems, seize development opportunity of the future and developmental trend of disciplines, and exchange the latest research findings and academic ideas. This conference has been held for three times up to now, which was supported by University of Reading, Research Center for China's Industry Security of our school, State Natural Sciences Foundation and Wang Kuancheng Foundation of Education Ministry. Published by Springer, paper collection of this conference had been indexed by EI. Approved by LISS Organizing Committee, the 4th session (LISS'2014) will be undertaken by University of California at Berkeley. University of Reading was founded in 1892 and authorized royally by Britain in 1926. Now, it has become a comprehensive university integrating research and teaching and ranked at the front row of UK's prestigious universities. In 2009, our school signed up with Reading University to jointly found the International Research Center of Information Theory & Techniques of Beijing Jiaotong University. In recent years, this center has organized 10 international conferences and founded two international journals. Collaborative research undertaken by the two sides and learning exchanges through mutual dispatch for dozens of teachers and students have effectively hoisted the level of international cooperation between the two universities.